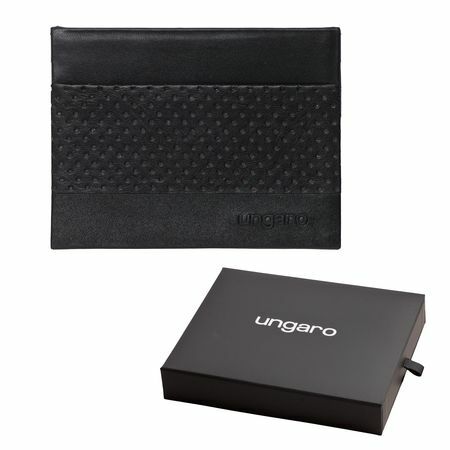 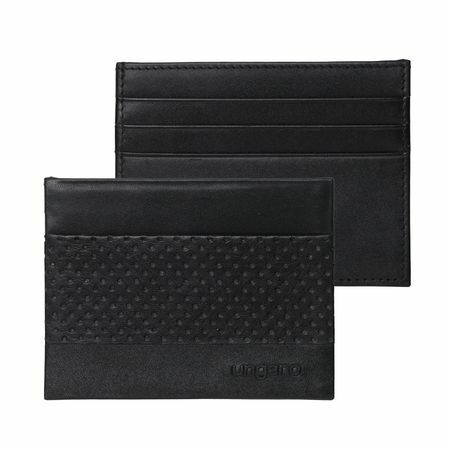 The Storia leather card holder from Ungaro is a modern and ultra thin card holder ideal to store your credit or loyalty cards. 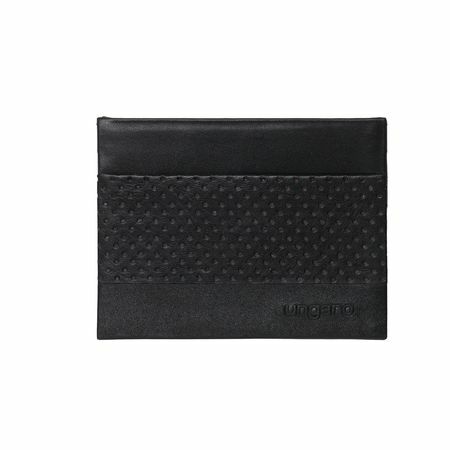 It is made of genuine black leather and perforated leather. 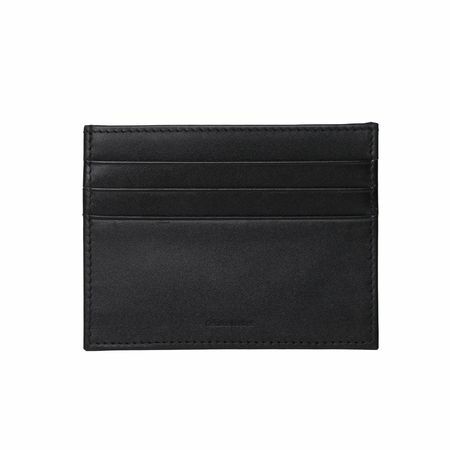 It is ideal to put in the back pocket of jean.